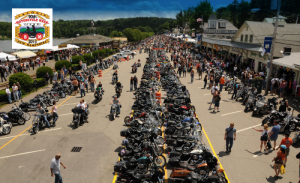 This year, Laconia Motorcycle Week celebrates its 90th Anniversary! The Rally will be held from Saturday, June 8, 2013, through Sunday, June 16, 2013. The Laconia Rally has grown from approximately 300 riders in 1916 to approximately 350,000 riders and visitors today. The Laconia Rally is one of the premier motorcycle rallies in the world. The scenic NH lakes region provides a spectacular backdrop for motorcycle riders and enthusiasts. The Rally provides a full week of great activities, motorcycle rides, and fantastic people-watching. Some of the world’s best custom motorcycles can be viewed cruising through the strip at Weirs Beach. The NH Motorcycle Lawyers (www.MotorcycleAccidentLawyers.org ) and NH DWI Lawyers (www.NH-DWILawyers.com) at Tenn And Tenn, P.A. encourage all those visiting the Granite State to please ride carefully this year and especially during the days of the Rally. With so many bikes descending on such a small area, NH motorcycle accidents and injuries at Bike Week can occur. And please, don’t drink and drive. But, if the worst happens, and you are involved in an accident at Bike Week or arrested for DWI in Laconia, call the lawyers at Tenn And Tenn, P.A. We are here to help. We wish everyone a safe and happy 2013 Laconia Rally. Hope to see you there!